Robert Havens Carter of Fargo, ND passed away on Thursday, April 4, 2019 at Rosewood on Broadway. He was 90 years of age. Robert H. Carter was born on July 18, 1928 in Grand Forks, ND to James & Frances (Boese) Carter. Robert was one of four children (William, John, Norma). He graduated from Fargo Central High School in 1946 and graduated from NDSU in 1954. He was married to Virginia Quaife on September 27, 1952 in Arthur, ND. An Army Veteran, Robert served in the 25th Infantry Division Army Medical Corps in World War II. 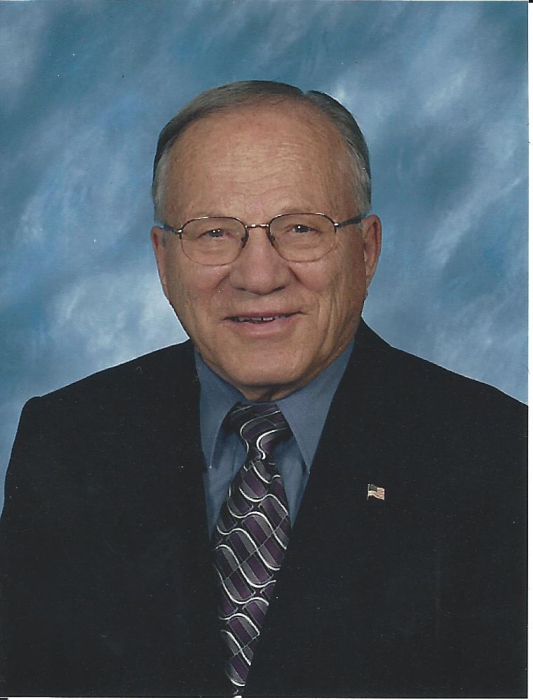 He had a long career as a professional underwriter in the insurance industry (including the Insurance Department in Bismarck, Fargo Insurance, Dawson Insurance, Far North Insurance, and the Metropolitan Insurance Agency) and was a member of Sertoma, Elks, CPCU, VFW, and American Legion. Incredibly bright and witty, Robert “Bob” Carter was an endless source of joy to all who knew him. He loved his family dearly, and never hesitated to do all that he could for them. An avid pet-lover, animals always knew they had a friend in Bob. His humor was infectious, and he lit up any room that he entered. Impeccably well-mannered, he always had a smile and a joke for everyone he met. The world was a better place for having him in it. His three children survive him: Nancy (Mark) Glaser, Colleen (Scott) Preisler, and Ginger (Kent Shirley) Carter. He is also survived by his brother John (Beverly) Carter; his five grandchildren Dan Glaser, Ginny Glaser, Anja Bjugson, Cole Bjugson, Josh (Ranae) Carter; his greatgrandchild Kyra Carter; his nephews Donald Kress, Jack Carter, Dean (Sharon) Carter, Jeff (Mallee) Carter, Paul Carter; and his nieces Sue Carter, Karen (Dean) Riemer, Diane Carter. Robert was preceded in death by his parents, his wife Virginia Carter, his sister-in-law and brother Norma and William Carter, his sister and brother-in-law Norma and Warren Kress, and his nephews Steve Carter and Jimmy Carter. A Memorial will be held on Saturday, April 20, 2019 at Marcil Commons, Trollwood Performing Arts School, 801 50th Avenue South, Moorhead, MN. Social Gathering for Family and Friends from 2 to 4 p.m. with a Celebration of Life service starting at 4 p.m.